Can we all just take a second and appreciate hybrids? They really just don’t get the respect that they deserve. Imagine if you still had to hit a 3 iron! Think about it for a second. Imagine all of the lost balls, the higher scores, the anger. I love my hybrid (I game a Titleist 910H if you are curious). It makes golf easier. It makes golf more fun. Are you in the market for a new hybrid? Great! You came to the right place. Sit back, grab a cold one (2% milk? ), and get ready for some really crappy jokes. Oh, real quick. Here’s why it’s not a stupid idea to listen to me. 1) I play golf a lot. 2) I’m a low handicap golfer. 3) I’m a complete golf club nerd. 4) I’ve tried every club there is. 5) I actually enjoy helping people find the best club for them AND their budget. This article will be broken up into three categories, as you’ll see below. I didn’t include some of my typical categories (longest, best feeling, etc.) because I’m lazy and don’t think they apply that well. 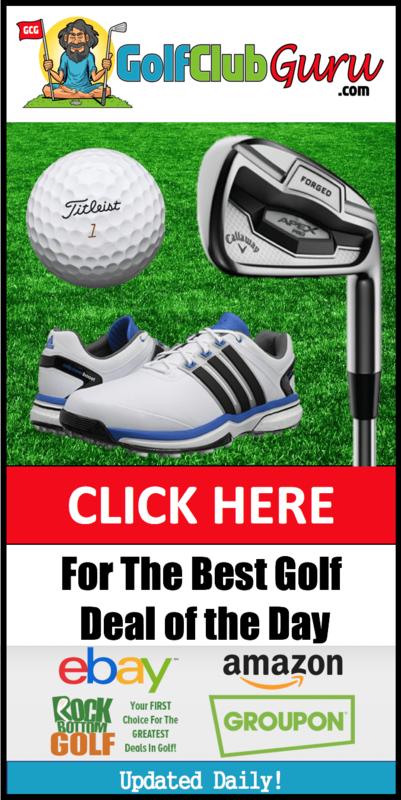 All links and pictures will take you to eBay, my favorite website for buying all types of golf clubs. 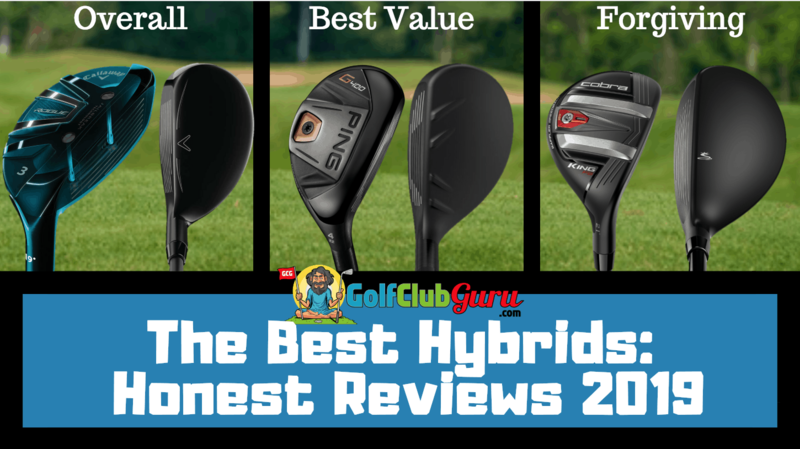 Without further ado, here are the best hybrids in 2019. Callaway hit it out of the park with their Rogue clubs, in my opinion. The combination of distance control and feel was incredible. I probably hit 15 balls on the range with this club, and I honest to to god felt like I could have hit them all on a 10’x10′ blanket. It was definitely one of those feeling where you want to quit being an accountant and pursue professional golf. I’ve always been a fan of Callaway’s hybrids. These fly a tad bit further than their previous models, so I likely would have gotten a 4 hybrid instead of a 3 if I was going to pull the trigger on the Callaway Rogue. I really like the sleek, simple, all black design. It’s a super pretty club at address. If I were to buy or recommend a hybrid to someone in 2019, the Callaway Rogue hybrid would be the one as of right now. If that changes, I’ll update this article. It’s still pretty early in the year, so I anticipate making some updates when companies release this year’s models. I was lucky enough to be able to demo the Cobra F9 hybrid before it officially launched. What a club! I felt a little off that day, finding it difficult to find the center of the face. Off center strikes didn’t feel great (obviously), but the results were impressive! I can’t imagine the trouble I would have been in if I had a 2-3 iron instead of this hybrid that day. I’ve always been a fan of Cobra’s drivers and fairway woods, but this was one of the few times I played a cobra hybrid. The face seemed very wide at address (see the picture above, you’ll see what I mean), which is a very encouraging feeling when you aren’t on your A game. I will say that my ball flights were much higher than normal. If you hit the ball high already, or if you play in very windy condition, this might not be the best club for you. But if you struggle to get the ball in the air and often hit all over the club face, this is the one I would recommend. If you are okay with buying a previous year’s model, I would definitely suggest the Ping G400 hybrid. Ping has always been undervalued when it comes to their hybrids. The G400 performs well in nearly every respect: great distance control, solid sound at impact, not too spinny. If someone were looking to save some money but still wanted a premium club, this would be my suggestion for 2019. I’ve always been a fan of Ping. 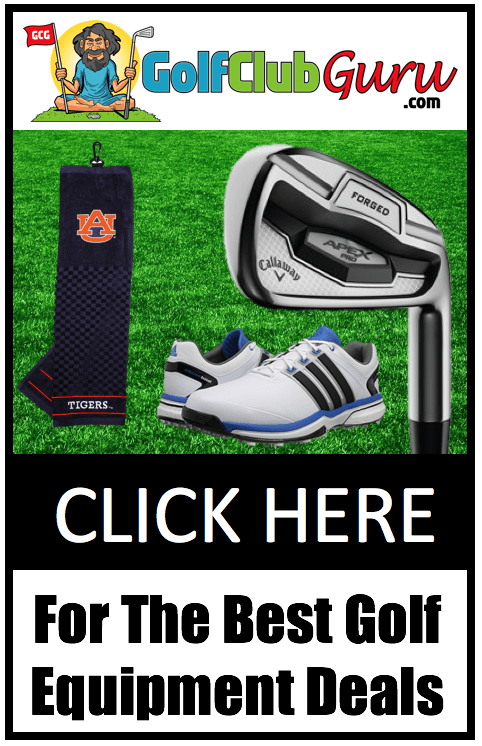 Unlike many other companies (I’m looking at you Callaway and TaylorMade! ), they don’t release products super often. They know that it’s not worth releasing a new line of clubs unless they have actually made improvements. The major improvements for this set was better control across the entire face, and that’s really what you should be looking for in a hybrid: control. Women’s clubs are going to be a taaaaad bit different. They will have lighter club heads and lighter shafts… that’s about it! My best suggestion for a women’s hybrid in 2019 would be the Cobra F-Max hybrid. It’s got a decent bit of offset, which is great for encouraging a square face at impact. All of the weight is placed just behind and under the club face, resulting in long, high shots. Women typically have trouble getting their hybrids and woods in the air, so this is a great characteristic to look for. Plus, there are many more expensive models that won’t perform nearly as well for women, so you’ll save some money at the same time with the Cobra F-Max Women! For you better golfers out there, you might prefer a utility iron over a hybrid. They allow you to hit a more penetrating flight, and are far less clunky than a traditional hybrid. While I love the feel of a well struck shot with a utility iron, I much prefer a traditional hybrid to allow me to stop the ball on greens easier. For safe shots off the tee, though, a utility iron works great. There’s no doubting the appeal of a low, penetrating shot off the tee. If this is what you are after, check out the Srixon Z U85 utility iron. This is my favorite utility iron that I have ever hit. It looks incredible down at address, and it feels like you hardly hit the ball when you make good contact. If there was a club that I wish I could have hit more balls with, this is the one. Just make sure you have a good reason for getting it as opposed to a more forgiving, traditional hybrid. Did I miss a specific hybrid that you love? Let me know in the comments below! My coder is trying to persuade me to move to .net from PHP. I have always disliked the idea because of the expenses. But he’s tryiong none the less. I’ve been using Movable-type on a number of websites for about a year and am concerned about switching to another platform. I have heard fantastic things about blogengine.net. Is there a way I can transfer all my wordpress content into it? Any kind of help would be really appreciated!